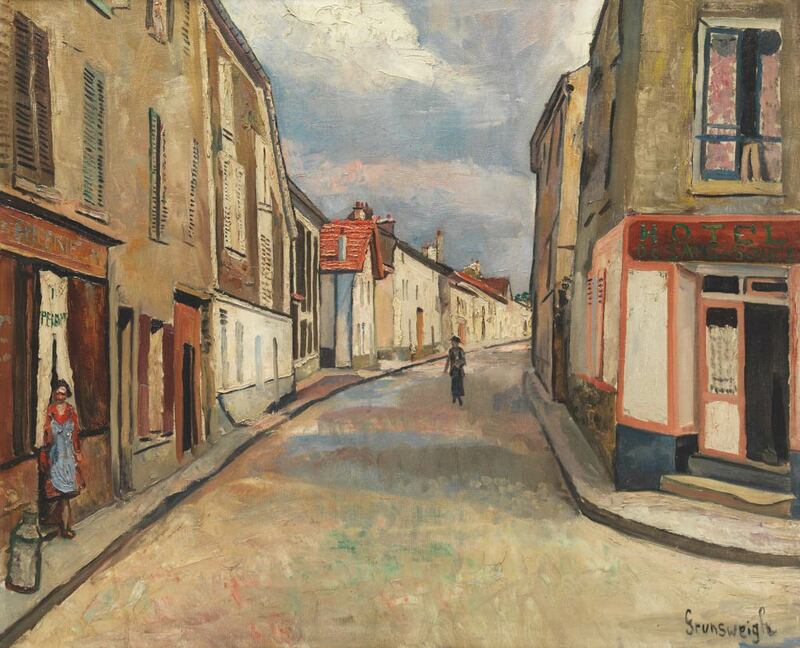 Nathan Grunsweigh was born on April 2, 1880 in Krakow. He settled in Paris shortly before World War I and became friends with the Russian artists living in Paris. He painted views of Paris suburbs. From 1922, he lived at 3 rue Sainte-Marie in Vésinet in the Paris suburbs. He was deported in 1943 and was murdered by the Nazis.